In 2003, I gave some thought to writing a book about Enchanted Rock SNA. I had been visiting the park since 1990, and after moving to Central Texas, visits became more frequent. Although there were a few small books and pamphlets available, there was nothing comprehensive, even though it is one of the most popular and unique parks in Texas and has some significant scientific interest. I wrote a proposal to create a book focused on photographing the park and sent it off to the University of Texas Press. I heard back in fairly short time. UT Press was very interested in producing a field and natural history guide. I gave it some thought how to create such a book, and in consultation with the UT Press team, finalized the concept. Then the hard work began. This book was 4 years in the making. Three of those years were spent capturing wildlife and plant life than can be found in the park. To capture as much of the plants and wildlife as possible, regular multi-day visits every 2-3 weeks, year-round, were made to the park. Through this time the entire cycle of the seasons was covered multiple times. Both drought and wet conditions were present in this timeframe. A few unusual explosions of certain insect populations (like the buckeye butterly event) were seen. The migration of birds was covered. Overall a large number of species that could be found at the park were captured and included in the book. Coverage is especially strong for forbs, grasses, ferns, trees, and cacti. Wildlife such as birds, mammals, reptiles, etc. is a little less strong. Birds especially are very problematic given how many birds pass through the park at different times of the year. As for insects, the species capture only scratched the surface. But overall, the resulting field guide portions of the book are fairly complete for what a person may see in a park visit. Overall more than 30,000 photographs were captured, and subsequently culled down to the 1,000 or so included in the published book. Most are also available on this site. In addition to the extensive in-the-field time focused on the field guide aspects, a parallel research project was undertaken, studying available resources at libraries and on-line, writing drafts, and consulting with subject matter experts for the various topics covered in the book. Many people were very gracious in providing me with their time and expertise. Full references and acknowledges can be found in the published book. 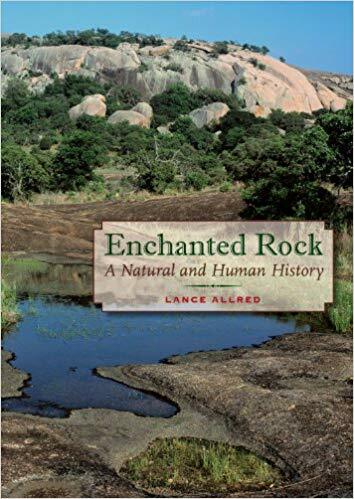 The book is available at fine bookstores across Texas, at the park through the Friends of Enchanted Rock display, and online from Amazon and other sources. This volunteer group focuses on improving hiking trails in the park, education and outreach program, and other focus areas that help to protect ERSNA. The park trail system has significantly improved since FoER started its work in the 1990's. More information can be found on the FoER website. This group works to educate municipalities and others on how to preserve dark skies through the use of proper lighting to increase safety, reduce costs, and lower light pollution. Enchanted Rock SNA is designated as a dark sky location, with nearby cities of Fredericksburg and Llano participating to keep skies dark at the park. Please see the IDA website for more details. This group works to educate municipalities and others on how to preserve dark skies through the use of proper lighting to increase safety, reduce costs, and lower light pollution. Enchanted Rock SNA is designated as a dark sky location, with nearby cities of Fredericksburg and Llano participating to keep skies dark at the park. Please see the CTCC website for more details. Enchanted Rock SNA is part of the park system managed by TPWD. 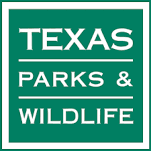 Please see the TPWD website for details on visiting the park and reserving campsites. Visit UT&apos;s geological sciences website at UT Austin Jackson DGS for more details on undergraduate and graduate studies and research. Got a bug you want identified? Try Bugguide to identify your creepy-crawly.